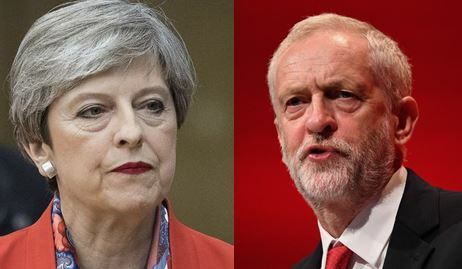 On the face of, at least until Wednesday, Theresa May has had a good week, Jeremy Corbyn a bad one – just look at the headlines and BBC news. But look a little more closely. May was quick to claim credit for the UK government for the coordinated approach to sanctions against Russia following the poisoning of Sergei and Yulia Skripal. There’s better news on Thursday about Yulia’s recovery, but father Sergei remains “critical but stable”. I can only wish him well. Surely the critical matter here is that the UK is a member of NATO and May quickly convinced other NATO members that the Russian state was culpable. The other states then had to examine their NATO treaty obligations. May’s decisive approach was good politics. Jeremy Corbyn took a more judicial approach and was way too slow off the mark. That’s bad politics in these days of 24-hour rolling news. Similarly, Corbyn has been way too slow on the matter of antisemitism in the Labour Party. Although all forms of discrimination are anathema to the very values of Labour, this running sore has been allowed to fester until it boiled over. The rumblings continue in the media several days later. And Corbyn has baggage where, as a backbench rebel outsider never expecting power, he was not always careful about his friends and associations in the past. There’s nothing anyone can do about the baggage, but, Corbyn was way, way too slow to sound convincing. By Wednesday morning, it was 2-0 to May. For nearly a week, May looked (almost) Prime Ministerial. I was relieved to see that May had reverted to her two default operating modes by Thursday. After a spell as Maybot at the last Prime Minister’s Questions before Easter, she became Little Miss I-Know-Best on her whistle-stop tour of the UK on Thursday. She visited Ayr (Scotland), a children’s day care centre in Northumberland (England), a farm near Bangor (Northern Ireland – you know, the place where power sharing broke down over a year ago) and the Aston Martin factory in St Athan (somewhere in South Wales, apparently). She tried to tailor her message to each audience, but the Maybot mode got switched on and she kept lecturing everyone how they must all be “strong and united”. (See The Modes of May for definitions if you’re not sure). Apparently, she also became Maybot when the BBC’s Laura Kuenssberg managed to catch up with her for an interview. The whole thing smacked of a re-run of her disastrous 2016 General Election campaign, where May toured a succession of empty factories and warehouses in front of a small, hand-picked audience and tried – and failed – to look Presidential. She generally succeeded in her other objective: to avoid exposure to ordinary members of the general public. The woman clearly hasn’t learnt anything from her election campaign; she certainly continues in I-Know-Best mode by not listening. A majority of the Scots and Northern Irish voted to stay in the EU; so, too, did 48% of us English folk. Dashing around the countryside on a single day is no substitute for proper consultation with the people in the constituent parts of our “United” Kingdom and their devolved governments – where they haven’t broken down by neglect of what matters (including the peace secured by Blair and the Good Friday Agreement). So, business as usual, then: Tory party politics before the National Interest. But it does also clarify my thoughts in relation to Jeremy Corbyn and the recent 3-part post on the Road to the Promised Land. Corbyn is not the man to lead us there, mainly because of what he’s done in the past (when he had no ambitions for the top job), rather than what he’s going now. Which is a shame, because Jeremy Corbyn is a good man. That depends on what you call good politics – should you give priority to short-term party advantage or to showing a sense of justice, such as “innocent until proven guilty beyond reasonable doubt”? Corbyn was, in my opinion, the more statesman-like. I apologise for the late “approval” of this reply. My comment would be “yes, but…” My most recent post (Vassal State) agrres with your position rather more!